Tired of That �Stale Home� Smell? We�ve Got Your Solution! No homeowner loves contemplating what is causing the stale, musty, dank odours that waft out to greet you as you come home each day. But try as you might, it can seem nearly impossible to follow the scent trail all the way back to its source! Where is the odour coming from? What is causing it? Why do all the so-called air freshening options you try, from candles to incense to odour absorbers and more, seem to wear off almost immediately? The truth is, persistent home odours like these nearly always take their time to build up and can’t be eradicated with surface solutions. These are just like band-aids—they might buy you some time (and your nose a bit of relief) but sooner than you hoped, the smell will be right back, and sometimes even stronger! In this article, we tackle “stale home” smell head-on and explain how to eradicate this unpleasant odour once and for all! There are a few potential places where the causes of the unpleasant smells in your home might be hiding. The older your pipes get, the more prone they are to harboring decaying matter in the form of developing clogs. Hair, food, dirt and debris are all common causes of pipe clogs today, and often this matter hangs out for some time, getting stinkier, mouldier, and messier by the day, until at last your sink, toilet, or tub backs up. If you ever lean down and catch a whiff of something rising up to meet you from your drains, built-up gunk may be a primary contributor to that foul home smell you can’t seem to get rid of. Cracks or leaks can let in moisture that over time forms mildew and mould colonies—this often happens in basements, garages, attics, and behind walls, floors, or ceilings. You might not be able to see these colonies growing and spreading, but you sure can smell them when you walk in the door each night! Yet another common culprit for unpleasant home odours is your indoor air duct system! Like other hidden areas in your home, it is impossible to just take a look inside and see what is going on in there. But you can smell it. Over time, your indoor air duct system becomes clogged with dirt, dust, debris, pollen, pet dander, insect casings, rodent droppings, and all sorts of other unpleasant detritus that gets pulled in somehow and then can’t get out. As this debris builds up further, your HVAC system has to work much harder to push temperature-controlled air through your ducts and out through your air registers into each room of your home. Along with each blast of air, a bit of that trapped detritus also gets pushed out through the registers and into the room, where you unknowingly breathe it in. Not only is the unpleasant smell a signal that your air ducts may be harboring trapped matter, but if you notice that your air conditioner and/or heater “smells funny” when it kicks on, this is another sign that trapped matter and moisture may be growing mould or mildew colonies in your air ducts. 3 Steps to Sending “Stale Home” Smell Packing for Good! So what can you do about all these odors wafting from your drains, damp rooms, and air registers? There are three steps to take: First, you need to diagnose what is causing the smell; next, you need to address its source; and finally, you need to prevent future occurrences. An indoor air quality test will tell you exactly what types of toxins, including (but not limited to) mould or mildew, are contributing to unpleasant home odours. The air quality monitor will run constantly for 72 hours, taking air samples and compiling a summary of air quality issues. At the end of the monitoring period, you will receive a full-color printed report along with recommendations for taking action. If your home has never had an indoor air duct cleaning (or you are not aware of any such event), it is highly likely your air duct system has never been cleaned! This is not uncommon. Until the last five years or so, the home’s lowly air duct system wasn’t given much if any attention, even by HVAC professionals. 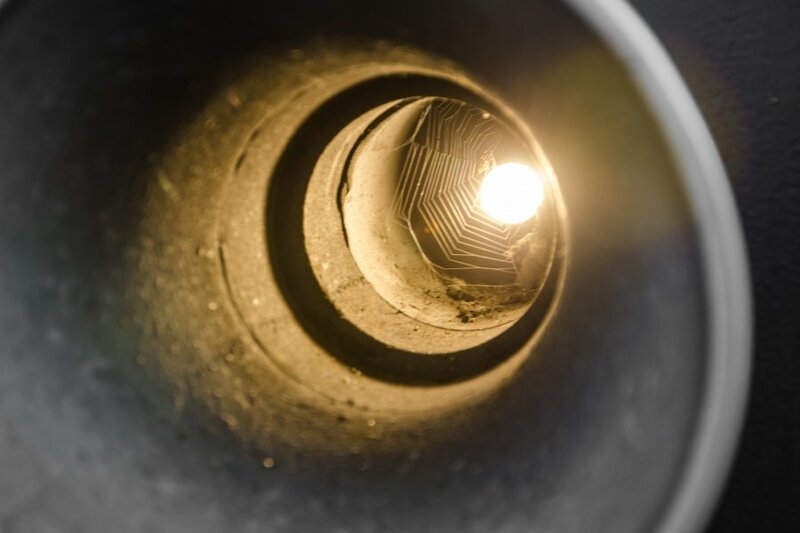 Today, we understand how poorly routed, leaking, sagging, and otherwise compromised air ducts can allow toxic material to impact your air quality and your health. An indoor air duct cleaning typically takes less than five hours—in one day you will be able to hit the “reset” button on your indoor air quality! Finally, you want to take steps to address airborne matter that may be originating from places other than inside your air ducts. You can choose whether to use a whole-home HEPA filtration system or an ultraviolet air purification system to keep your indoor air fresh and pure on a daily basis. Both systems work differently but equally well to remove potent airborne toxins, including bacterial and viral matter, from your indoor air. Right now, we are offering 10 percent off of all of our indoor air duct cleaning packages! This spring special won’t last long—complete this simple online form or give us a call at 905-544-2470 to reserve your discount! There is no doubt Ontario has had a run of memorably stormy winter weather lately. At just the point in the season when most of us are starting to look forward to spring, with its warmer temperatures and outdoor adventures, instead we got whooped with a giant wave of rain, sleet, hail, snow, and generally dangerous weather conditioners. Part of adjusting to unexpected and unseasonal wet weather is taking precautions against the growth of mould and mildew that can lead to allergies, asthma attacks, and respiratory illness. 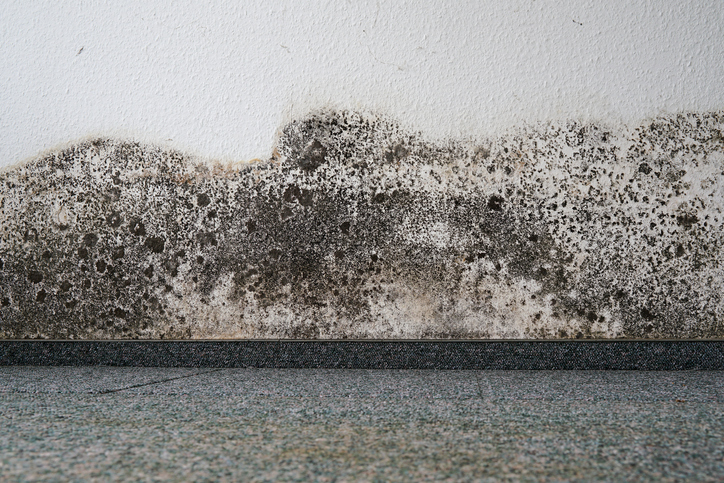 Localized flooding as well as ongoing wet weather can create conditions ripe for mould and mildew colonies to form both indoors and outdoors. Basements, attics, garages, outdoor work and storage spaces, and other vulnerable areas can harbor these colonies and protect them while they grow and spread. In this article, we take a look at how to keep your indoor humidity levels balanced so mould and mildew don’t have a chance to gain a foothold! Once the wet weather passes, there is no time to waste in making your home inhospitable to mould and mildew. The first step is to do a visual inspection of your home premises. This may seem obvious, but consider if moisture may have entered your home through smaller cracks and crevices or even via loose or damaged areas. In particular, head to the basement, attic, and outdoor garage or sheds to take a look around. Feel for damp interior areas along the floorboards, walls, and around windows and doors. Also use your nose: it may be too early to smell mould and mildew, but if you detect any whiffs of stale, dank, musty, or “grassy” odours, these can also be warning signs that colonies have begun to grow. Examine lawn furniture cushions, outdoor mats, entryway rugs, and pads and any other items that can harbour mould and mildew. Discard those that can’t be completely cleaned and sanitized. Ultraviolet light from the sun is still the number one best purifier and decontaminant there is, so for those items you do want to salvage, place them in direct sunlight so they can dry completely before reusing them. The U.S. Environmental Protection Agency (EPA) states it is usually safe to proceed with do-it-yourself cleanup for small areas of mould or mildew that measure less than 10 square feet (0.92 square meters). You can use a solution of 1 half-cup of bleach with 1 gallon of water to clean and disinfect these small colonies. But be aware that you must keep that area completely dry to ensure the mould does not return and spread! Using fans, dehumidifiers, your air conditioner, or local desiccants can also help keep the area dry. For larger areas of mould and mildew, the EPA recommends hiring a professional mould cleaning specialist. Severe weather over the winter and in spring can often cause damage to roofing, siding, or flooring that can allow moisture to seep in and bring mould and mildew along with it. In particular, when moisture gets in through the roof, it can then cause damage to your air ducts and HVAC system. Sometimes, this mould and mildew stays invisible until the colonies become sufficiently established to start emitting their trademark musty, dank, damp smell. By this time, you may have a major remediation project on your hands! Luckily, there are steps to take to help you stop mould and mildew before the situation becomes too dangerous for you and your family to remain in your home. A professional indoor air quality test is not the major undertaking it may sound like it is! This test is really quiet and won’t interrupt your daily home life at all. We install air quality monitors in an unobtrusive location. These monitors run continuously for 72 hours, taking small samples of your indoor air and testing them for airborne contaminants, toxins, and pollutants. At the end of the 72-hour period, the air quality meter generates a full-color printout of all detected toxins along with remediation recommendations, if applicable. If you have mould and mildew growing inside your home space, this test will let you know it! The U.S. Environmental Protection Agency (EPA) strongly advises against running your HVAC system (air conditioner or heater) if you even suspect there is trapped mould or mildew inside it. A professional indoor air duct cleaning is the only method that can remove all trapped mould and mildew spores safely and permanently. Once you have cleaned and remediated your indoor air and your home space, you will want reassurance that mould and mildew cannot gain a foothold in the future. We recommend installing a HEPA air filtration system or an ultraviolet air purification system. We also recommend retrofitting your HVAC system with a heat recovery ventilator to keep your indoor air humidity balanced seasonally. Right now, save 10 percent on all air duct cleaning packages and 20 percent on all indoor air quality equipment. HVAC Costs Got You Down? Try This Handy Fix to Cut Costs & Improve Air Quality Too! ave you ever walked into a space that clearly hasn’t gotten much TLC? Probably, you noticed the floors were dirty and the counters were dusty. Maybe the spiders had gotten busy building intricate webs in convenient corners. Perhaps there were signs of other wild visitors scattered about inside cupboards and cabinetry. Chances are good you keep your own home or workplace in much better condition. After all, no one likes to have to work or live in a dusty, dirty space! But there is one place in your home or office that is nearly guaranteed to look like its been abandoned: your air ducts! While indoor air duct cleaning is becoming more well known and popular today, the great majority of our indoor air quality clients are still having this service done for the first time since they purchased their home. For many experienced homeowners, it is the first time they’ve ever had this type of service done on any home they’ve ever owned! This high rate of first-time clients isn’t due to home maintenance negligence, by the way. It is because, in past decades, information about how toxic dust and debris build up inside a central indoor air duct system simply wasn’t made available to homeowners and business owners. Now that we know, it is time to get to work and clean up those air ducts! When you do this, you reap all kinds of other fun rewards, including the ones we are about to share with you here. What Is Inside Your Air Ducts? We could have a very lively discussion about some of the intriguing things we have found while cleaning out air duct systems! It is actually still kind of amazing how some of the items even get in there in the first place. But suffice it to say, we never know for sure what we might find when we head in to do a job. What we can tell you with certainty is that most people’s air duct systems contain dust, dirt, debris, cobwebs, insect shedding or body parts, rodent droppings, pollen, pet dander, pet and people hair, dust mites, bacteria, fungi (mould and mildew), airborne viral matter, and residual particulate matter (tobacco smoke, wood ash, etc.). None of these things belong inside an air duct system, but over time, as exterior exhaust vents and intake valves get breached by insects and small animals, the elements, and nature, surprising things make their way inside. Also, for older homes in particular, one common issue we still see is the “ductopus”—an outdated, poorly routed system of air ducts that has begun to sag and leak, admitting all kinds of undesirable detritus. Here, we typically recommend both a duct sealing and insulation service along with a professional air duct cleaning. How Does This Foreign Matter Affect Your Indoor Air? There are two primary ways that dirty air ducts can impact your indoor air: efficiency and air quality. Did you know that just 1/16th of an inch of dust and debris can reduce airflow by as much as 20 percent?! What this means is that your air conditioner and heating system now has to work 20 percent harder (using 20 percent more energy) just to push the air through the ducts into each room of your home. It also means that, along with each portion of temperature-controlled air that is sent through the ducts, a small portion of the debris inside will get picked up and swept along, too, and will enter the rooms of your home or office, impacting your health with poor air quality. You won’t feel as good, think as clearly, or be as healthy when you are breathing in airborne particulates along with your oxygen! The dirtier your indoor air ducts get, the more you will pay for your monthly energy costs and the more likely you will be to end up in the doctor’s office with severe allergies, asthma attacks, respiratory infections, seasonal colds and flu, and other unpleasant health issues. What Happens During an Air Duct Cleaning? Many of our first-time indoor air duct cleaning clients are worried about being displaced from their home or office because of a lengthy remediation project. We can assure you, this will not happen! On average, an indoor air duct cleaning takes just three or four hours (perhaps five or six hours if you have a larger, multifloor workplace or a very complex duct system). During this time, we use a special heavy-duty commercial vacuum system that ensures all removed dust and debris is vacuum sealed and safely transported off your premises. We offer three air duct cleaning packages to suit the needs of different home and office spaces. Regardless of the package, when we are done, your air ducts will be as shiny and squeaky clean as the day they were first installed! Many of our customers say they can actually SMELL the difference—that is how clean their indoor air becomes! Before we agree to do an indoor air duct cleaning for any space, we always conduct an inspection to determine if your ducts actually need to be cleaned. For some newer spaces or for spaces with recently installed HVAC systems, this can save you the costs of a premature indoor air duct cleaning service. Whether or not your air ducts need to be serviced right now, you can safeguard your indoor air quality by installing a HEPA filtration system or a UV air purifier that works together with your existing HVAC and air ducts. These tools keep your air fresh and pure, guaranteed! Contact us online or give us a call at 905-544-2470 to learn more and save 20 percent on a HEPA filter or UV air purifier!